Vanilla originated in Mexico. Vanilla is an extremely popular ingredient in many different culinary preparations around the world, and the scent of vanilla is unmistakable to most people. 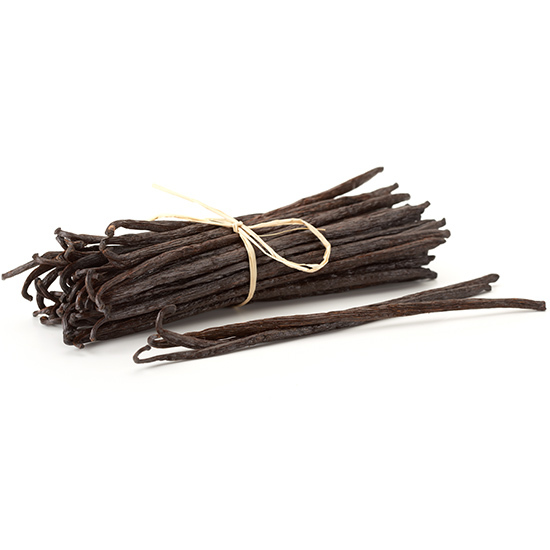 Vanilla pods, commonly called vanilla beans, are the fruit of the vanilla orchid, the only orchid plant that produces an edible fruit. Given its market price, vanilla is a rare commodity, and its depth of flavor ranks it right up there with the finest of wines. Vanilla is a flavor most all of us grew up eating, whether in ice cream or another type of dessert. Vanilla might seem boring, but it’s truly one of the most classic flavors you can never go wrong with. In fact, vanilla extract is a top ingredient in most dessert recipes for this very reason; it adds a warming, sweet, and rounded flavor that compliments just about any sweet treat. Real vanilla is pleasantly aromatic and a very expensive spice right after saffron. Vanilla beans can be used in raw form as a flavoring, which is probably the best way to impart the most flavor of vanilla into a food or food ingredient. In addition, the beans can be used to make vanilla powder, vanilla extract and vanilla essence. Wait to scrape the seeds out of the vanilla pod until you’re ready to use them. They can be mixed right into the rest of the ingredients. One of the finest flavoring bases employed exclusively in the sweet dishes, vanilla is added to cakes, biscuits, desserts, and puddings. It is also used in other confectionary items to make chocolates, ice-creams, custards and chocolate drinks. One vanilla bean is equivalent to about 3 teaspoons vanilla extract, so if you need to substitute one for the other, you may only need part of a vanilla bean. That said, a little extra vanilla bean generally doesn’t hurt! Vanilla plants need warmer weather to fully develop. The plant only starts producing vanilla beans after 3 years of plantation. When the flowers bloom, the melipona bee has to pollinate the flowers immediately, they only have a 12 hour window. The plants need these bees so the vanilla beans will grow. After successful pollination, 9 months later, vanilla pods will grow. The pods are picked when they’re not quite ripe and are a yellowish-green color. At that point they are filled with a compound called glucovanillin (vanilla molecule). The pods are then picked and cured by a three or four week long process of drying and sweating until the odor and flavors develop. No wonder vanilla is so expensive!